Enhanced Jaw Gearing and Reverse Lock features that ensure this NOVA G3 Comet II Reversible chuck will remain engaged and locked on the spindle for use in forward and reverse. Exclusively for the NOVA Comet II Midi Lathe. The small 1.79″ body length delivers less overhang from the spindle than the larger geared chucks – the SuperNova2 Chuck and the Nova Titan chuck, reducing stress on smaller lathe spindles. 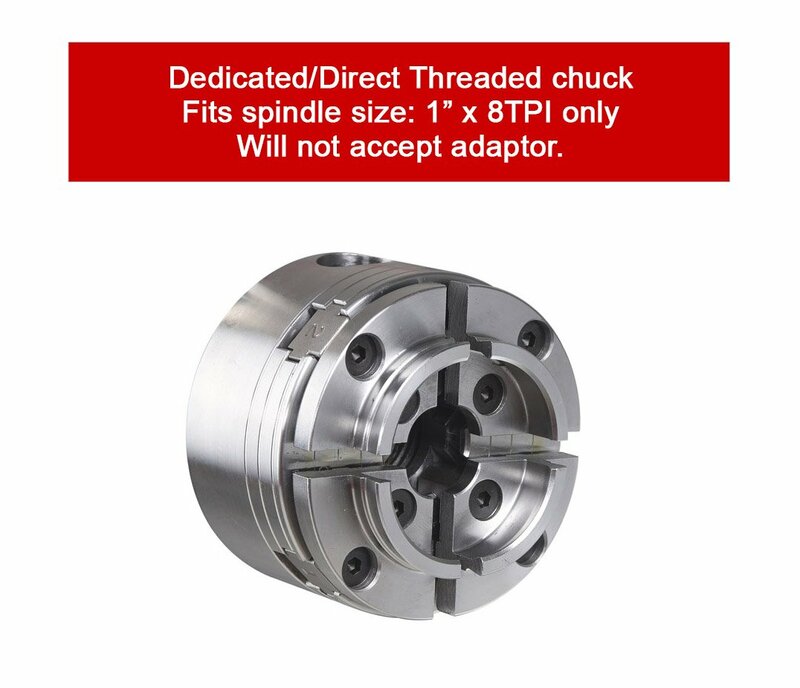 The NOVA G3 Woodturning Direct Threaded (Non-insert) 1″ x 8TPI LH/RH is a 4 Jaw self-centering reversible geared chuck. The strong but lightweight body has less overhang which is perfect for smaller lathe spindles. The small 1.79″ body length delivers less overhang from the spindle than the larger geared chucks – the SuperNova2 Chuck and the Nova Titan chuck, reducing stress on smaller lathe spindles. 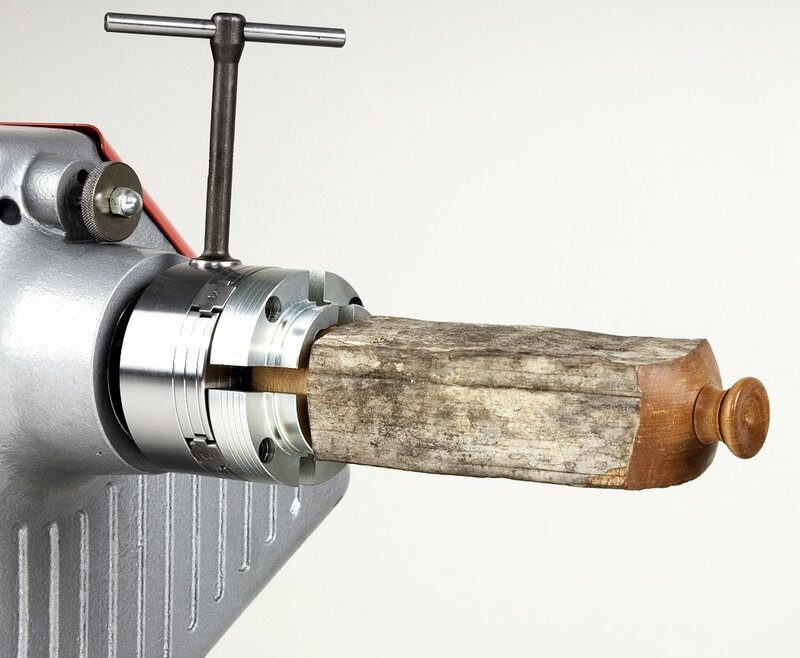 With unique NOVA features such as Auto Stop, Copper composite Jaw Slides, Woodworm Screw, Comfortable T Bar Handle and 2″ Jaws as standard, this chuck is fully featured. Powerful Tuff Lock™ gearing with precise, hardened action delivers incredibly smooth strength for a solid, vibration free performance. Enhanced Jaw Gearing and Reverse Lock features that ensure this NOVA G3 Comet II Reversible chuck will remain engaged and locked on the spindle for use in forward and reverse. For other G3 Chucks, see the Insert Type and the M33 Type. • Quality materials used throughout for long life in tough woodworking conditions. • Precision machined from single solid steel billet for maximum performance. • Powerful Geared Grip with Tuff Lock™ Technology. Precise, hardened geared action delivers incredible smooth strength. Solid, vibration free. • Auto Safety Stop Feature. Jaw slides can’t protrude past the chuck body. • Comprehensive Instructions. Common Insert/Adaptor Fitting – compatible across all NOVA Chucks. • Single Handed Operation. Chuck key has a fast, positive location, easy and comfortable to use. More time spent turning and less time spent preparing. • Safe Lock™ Woodworm Screw included. • Small, Compact Design. Minimizes load on small spindles and bearings. Note: Able to take most NOVA accessories jaws, however, the larger accessory jaws in the NOVA chuck range are not recommended for use on the NOVA G3 Chuck. For more information, consult your NOVA Accessory Jaw Manual. Only NOVA Chucks give you the same jaw fixing system and same insert/adaptor system across all chuck models.